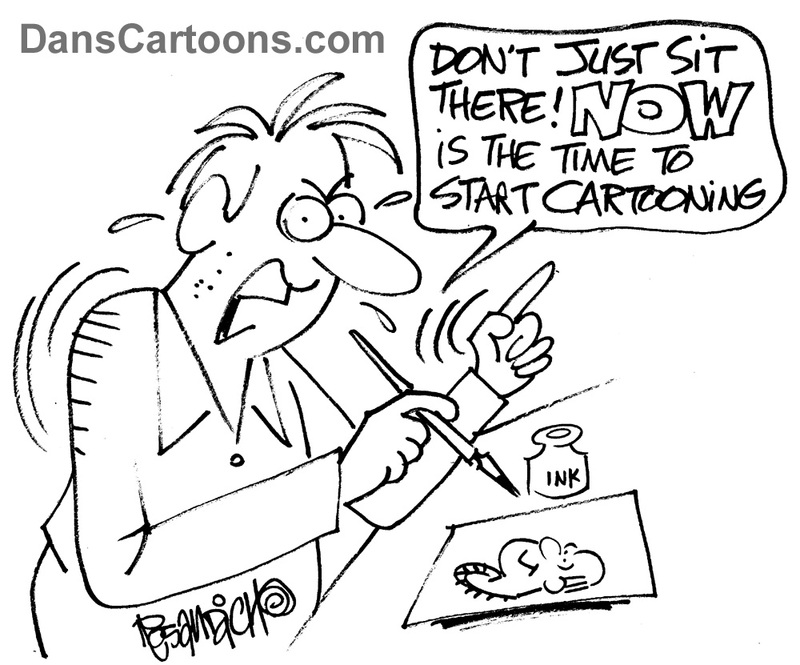 Cartooning now means simply not waiting to see if your cartoons will be worthy of print. 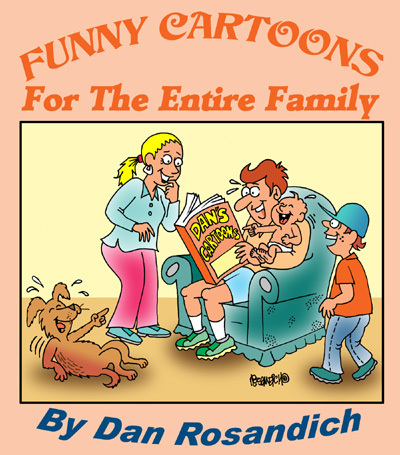 You need to start creating cartoons and building your archive or catalog to offer the print or publishing market. The key word being “now”, which I cannot emphasize enough. Are you asking yourself whether or not your cartoons are worthy of publication? Or are you asking yourself if an editor will laugh at your cartoons enough to accept them for use in a publication? Truthfully, I never once asked myself that question when I wanted to get published. I really wasn’t sure how to prepare a submission of cartoons for sending to an editor or I wasn’t sure what might be worthy of publication. I just drew cartoons I felt were funny to me. This of course meant I was cartooning in the moment….or “now”, as it was at that time. I think too many hopeful or would-be illustrators or cartoonists have that little morsel of trepidation, or are hesitant as to whether or not they should send out their material. Two things, start drawing . 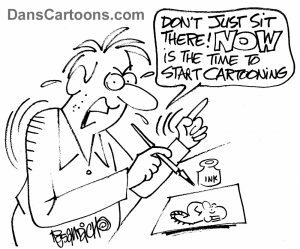 . . start cartooning now and start your journey into getting what you have in your head, onto paper and preparing submissions of work for circulation to various editors. It’s the only way you’ll find out if you’re cut out to be a cartoonist. At times I feel somewhat “blocked”, which could be from exhaustion, or I’m tired. I experience procrastinative tendencies of course, which may be natural….but overall, getting a decent archive or catalog of work assembled is key….get a good selection of cartoons created. Need inspiration? Need a way to boost your creative drive? Go find an interesting cartoonist blog to learn new drawing techniques, look up articles online that pertain to the cartooning business or inspirational stories about cartooning masters. Let this act as a form of professional inspiration and hopefully you won’t be asking if you’re good enough.